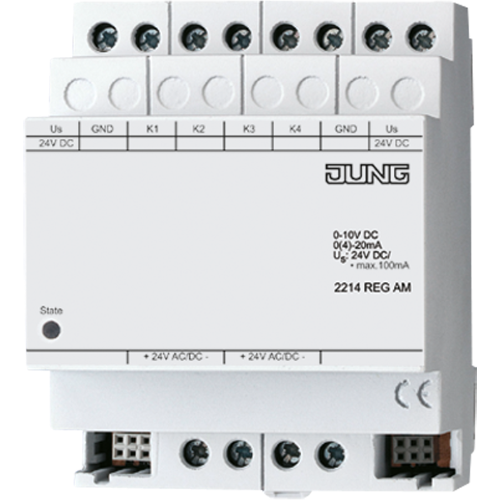 The analogue input extension module provides a KNX analogue input 2214 REG A with four additional sensor inputs. The evaluation of the measured data and the limiting values will be handled by the connected KNX device. 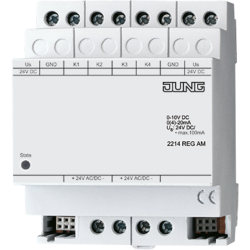 The analogue input extension module evaluates voltage and current signals.